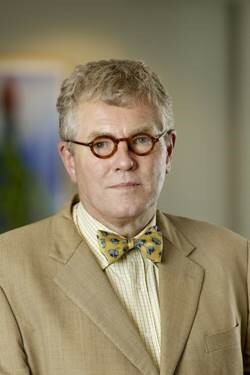 Anthony (Tony) Morris QC is a Queensland barrister who in 1992 was appointed as one of Her Majesty’s Counsel. He has also served as a director of Queensland Investment Corporation; a member of the Advisory Council of the Queensland Conservatorium of Music; a Councillor of the Canine Control Council (Queensland); and Chair of the Bundaberg Hospital Commission of Inquiry. In May 2013, seven QUT students were using a Queensland University of Technology computer lab when QUT Administrative Assistant Cindy Prior asked them whether they were indigenous. When they replied they weren’t, Prior then asked them to leave. In February 2016 Prior sued three of the students for comments allegedly made, after she evicted them. On 4 November 2016 Federal Circuit Court Judge Michael Jarrett ruled there was no case to answer. Tony Morris and Michael Henry worked pro bono to extricate the three students from the legal minefield in which they found themselves. As a result of this litigation the reputation of the Human Rights Commission, together with its then president, Gillian Triggs, was severely damaged; the case against Section 18C of the Human Rights act was re-opened by a Federal Parliamentary Inquiry; Cindy Prior went close to bankruptcy; and three young men had their lives torn apart over innocuous comments. This infamous case is part of Tony’s campaign to reduce legal impediments to free speech.